The Government of Romania salutes the approval of the final investment decision for the Midia gas development (MDG) project located in the Black Sea offshore Romania. The launch of this comprehensive investment project in the natural gas sector will contribute to both the economic development of the area as well as to the increased gas supply security and the reduction of energy dependence, through supply sources and rates diversification, an objective assumed by the Executive. 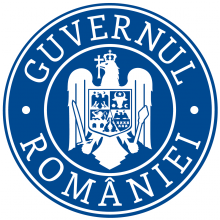 The Government of Romania emphasizes once again that it is a fair partner of the business sector and it supports sustainable investment projects with economic and social benefits for Romania.